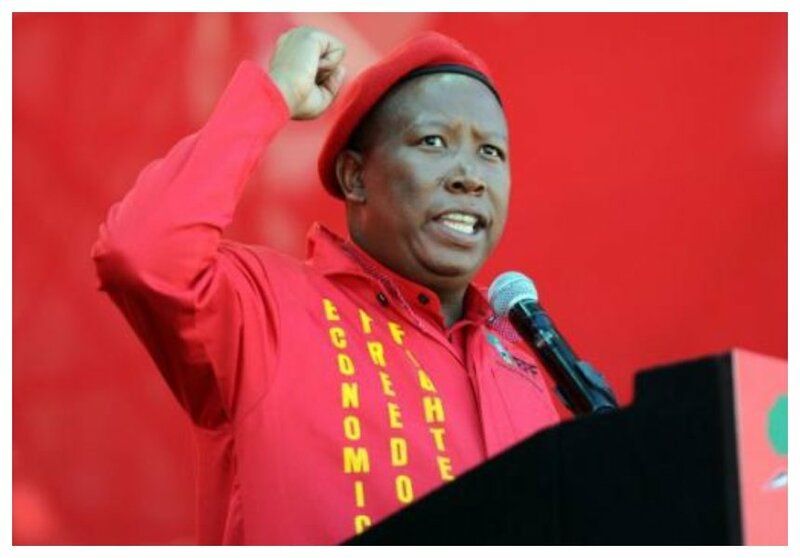 Economic Freedom Fighters (EFF) leader Julias Malema has blasted Kenyan and Zimbabwean Judiciary for wearing wigs which he says is a representation of colonial system. Speaking during a press conference, Malema lashed out at former British colonies for staying within the Commonwealth which he claims perpetuates white supremacy and white arrogance. He called out Kenyan and Zimbabwean judiciary for continuing with ‘white practices’ years after attaining independence from their colonial masters. “We still have judges in Kenya, in Zimbabwe wearing wigs… blonde wigs. What is that? What is that? And including some scholars who are lawyers they are still wearing those things and come and lecture us about decolonization wearing a wig,” said Malema. Malema also took shot at Kenya’s relationship with US, he claimed Kenya was not totally independent since America has a huge interest in the country. “Kenya of course is a something different, I don’t think there is a total independence there… America has is got a huge interest in that arrangement of Kenya. But everywhere else in the continent we need to start doing away with those things.” said Malema.